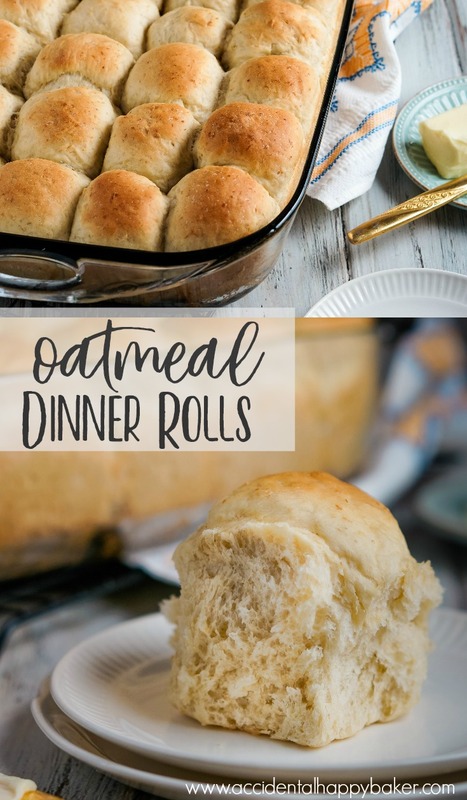 Oatmeal dinner rolls are light and fluffy. Soft and mildly sweet. Easy to make, but taste like perfection. 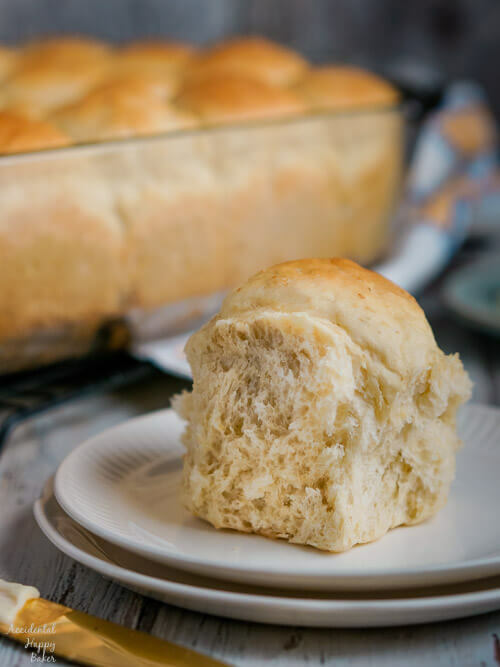 Say hello to your new favorite dinner roll! Sometimes things just don’t go as planned. Take my Monday morning for example, I planned on a productive morning cleaning house and working on blog stuff. Instead I ended up sitting in a Walmart Subway for hours while I got a flat tire fixed. Thank heavens Subway serves coffee or else I don’t know that I could have smiled my way through it. 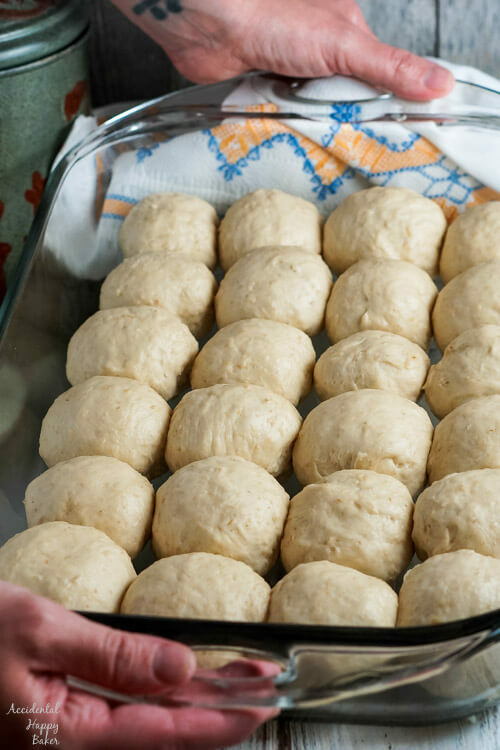 Fill a liquid measuring cup with 1/2 cup warm water, 1 teaspoon sugar, and 2 1/4 teaspoons yeast. Stir it gently and let it sit someplace warm for 10 minutes. If the yeast mixture hasn’t grown to the 1 cup line in about 10 minutes, it’s time to buy new yeast! 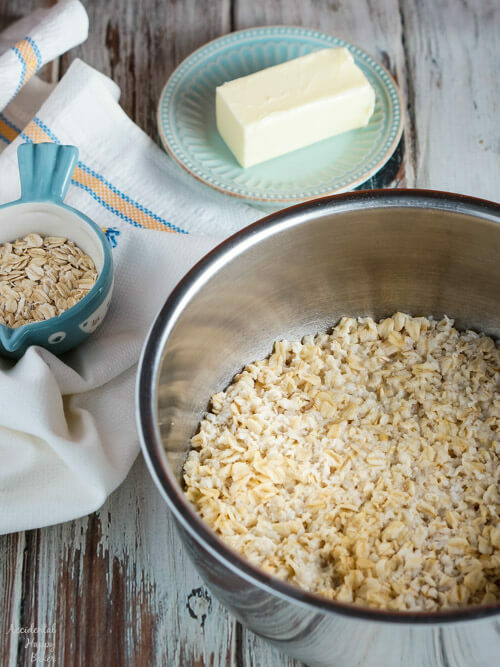 I love these oatmeal dinner rolls so much because this is exactly the kind of recipe I wanted to share when I started this blog. Something delicious and homemade that tastes like it came right from my grandma’s kitchen. 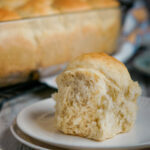 These rolls are light and fluffy with a delicate, but not overpowering sweetness. 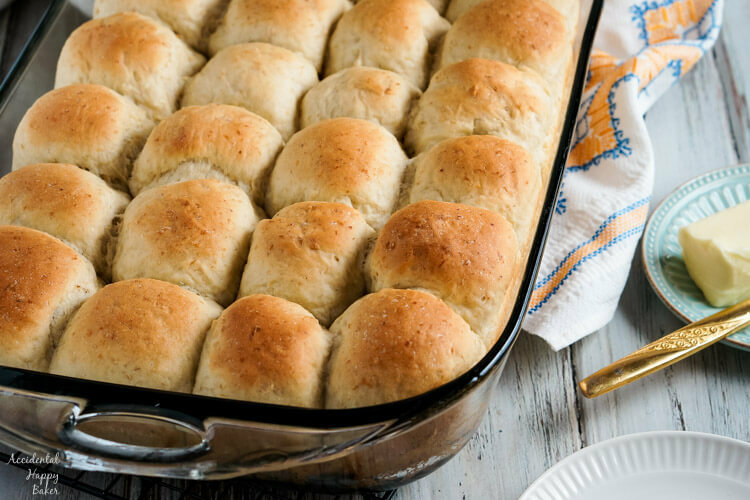 The addition of oats makes these rolls a bit more hearty. They also make amazing sandwich buns and even cinnamon rolls! 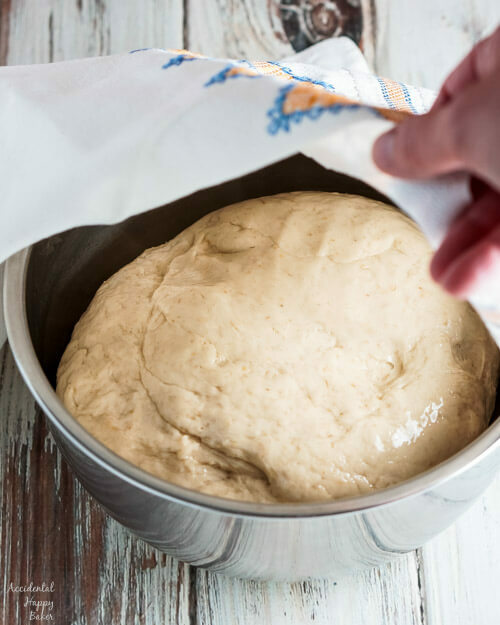 The flavor of the oats is noticable for sure, but the texture of the oats almost disappears inside the rolls after sitting in boiling water and being kneaded, making this a great all purpose dough for lots of things.